Saint Anthony Hospital is pleased to announce that it has been awarded the 2017 Illinois Performance Excellence (ILPEx) Recognition Program Bronze Award for Commitment to Excellence. This is the second consecutive award for the hospital. The award recognizes organizations that have demonstrated earnest efforts to adopt and apply continuous improvement principles from the top of the organization down using the Baldrige Framework for Performance Excellence. “Providing quality care to one of the most underserved communities in Chicago has always been Saint Anthony Hospital’s top priority,” said Guy A. Medaglia, Saint Anthony Hospital President and CEO. Applying criteria from the Baldrige framework has led to ensuring continuity of care across the hospital for all patients who come to Saint Anthony. 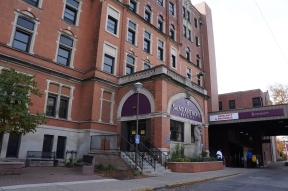 With ongoing evaluation of best practices, other achievements garnered include recently being awarded The Joint Commission’s Perinatal Care Certification, making Saint Anthony the first among all Illinois hospitals, as well as being named the City of Chicago’s “Best Value” Hospital by Amino, a health care transparency company. “Our community deserves the highest quality of care, and this internationally-recognized framework allows us to show meaningful and significant cycles of improvement,” said Eden Takhsh, M.D., Vice President, Chief Quality Officer and Chairman for Obstetrics and Gynecology for Saint Anthony Hospital. For more information on the ILPEx recognition program, visit ilpex.org.